Like the Twilight Saga and the Harry Porter series, the final book of a series is split into two films. Then there’s also The Hobbit, one single book made into three long movies. But then again, if the first two books could be written and produced into only a film each, why couldn’t it be done for this one as well? Maybe it’s just to squeeze more milk, or perhaps it’s genuinely necessary to properly develop and buildup for a satisfying finale. 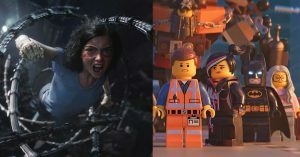 Either way or both, the film is certainly less than what some or most fans are expecting. 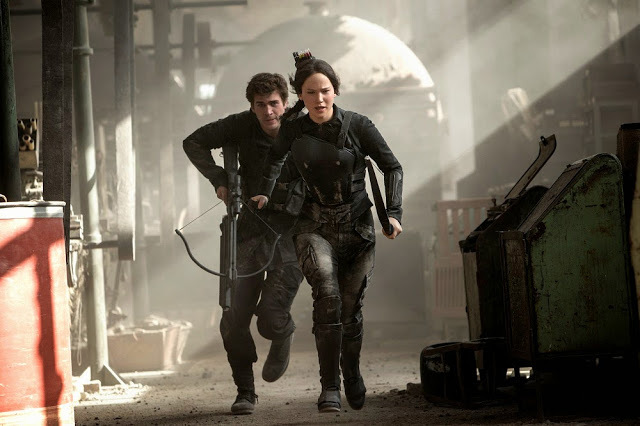 The story picks up where it left off at the end of the The Hunger Games: Catching Fire where the protagonist, Katniss Everdeen (Jennifer Lawrence), destroys the Hunger Games without knowing it’s all part of the rebellion’s plan. 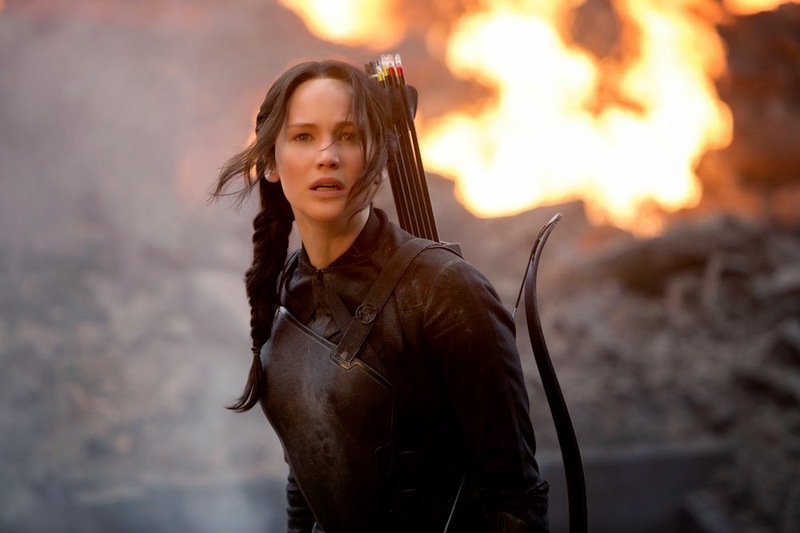 Although under the leadership of President Coin (Julianne Moore), the rebels need Katniss to be the “Mockingjay” – a symbol and face for the cause – to inspire and encourage all the other districts in Panem to overthrow the oppressive Capitol and their ruler, President Snow (Donald Sutherland). However, Katniss is reluctant to do so as Peeta (Josh Hutcherson) was left unsaved and is now in the cruel hands of the Capitol. To reignite her hatred towards the Capitol and President Snow, she visits the Districts that are at war and have been punished despite the importance of life to the rebellion. The previous instalment (second film) did what the first film failed to do – turn me from pro-Battle Royale to a Hunger Games fan. The change of director and screenplay writers probably had a lot to do with that. Also, the story blossoms from being only a thrilling action adventure about a bunch of poor ordinary innocent people being forced to kill each other to survive in a game, into an intense political drama. 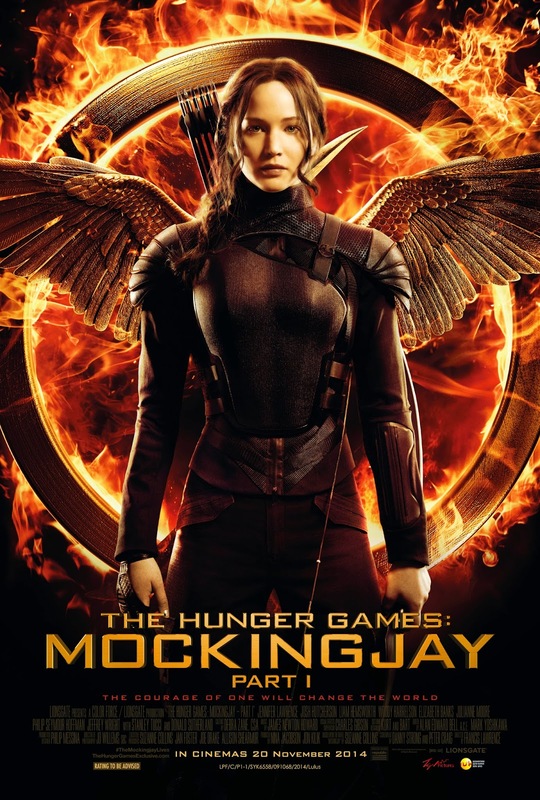 Due to the great success of Catching Fire, its director, Francis Lawrence, was brought back but with new screenwriters Danny Strong and Peter Craig instead, and it’s probably partly because of this that Mockingjay Part 1 fails to reach the brilliance of the previous film. The previous films have equal share of satires, drama, action and humour but this one heavily focuses on the political drama. Katniss was forced to play nice as a Tribute but on the rebel’s side now, it seems like she’s being dictated into being a puppet for the cause, filming propaganda videos to be broadcast throughout Panem to “promote” war. The film clearly conveys the manipulation and influence by political campaigns, and that there are no perfect political systems, only the lesser evil. Oscar winner Jennifer Lawrence (X-Men: Days of Future Past, Silver Lining Playbook) once again pulled off another amazingly engaging and emotionally strong performance. Not only she has to play the vulnerable but strong heroin that the protagonist is all these while, here she also has deliberately act unnatural and unconvincing in one scene, then sincerely passionate and angry in the other. This film could’ve been even more dull, or even fail miserably, if there wasn’t Lawrence’s talent to carry it through. The Games are literally blown away by Katniss but that shouldn’t mean there can’t be any thrilling violent fun like its predecessors do. There aren’t much action here even in scenes that are easily perfect for some. As it shows in the trailer, Katniss shoots down an aircraft, and that’s practically all the action you’d get from her. It’s already been prolonged into two films, why couldn’t the director just fill this one with some smart and exciting action sequences between the Capitol army and the rebels? Even just a little would’ve been great. But instead of that, you’d get to see more of the typical two-guys-one-girl triangle dilemma drama. I’m quite sure the female audience would be pleased to see more of the handsomer Liam Hemsworth (who plays Gale) this time compared to the previous films. It also doesn’t utilise a bit of its long 2 hours of running time to explain how it is possible for the rebels in District 13 to look so fit with seemingly a lot of resources. They even have an awesome working aircraft. For a poor District that’s supposedly destroyed with survivors hidden underground for years, it’s unbelievably impressive. There are also minor plot holes, like why the heck would the Capitol army prefer to scatter flowers on District 13 just to demoralise Katniss instead of just dropping landmines or cameras to find spy on them? Ah, never mind. Ultimately, although the film’s political satires are highly appreciated, it feels more of a drag than actually having too much to tell. From what’s shown on Wikipedia, it seems as though that this film only covers like a quarter of the book. Let’s hope that Part 2 will not be too rushed. 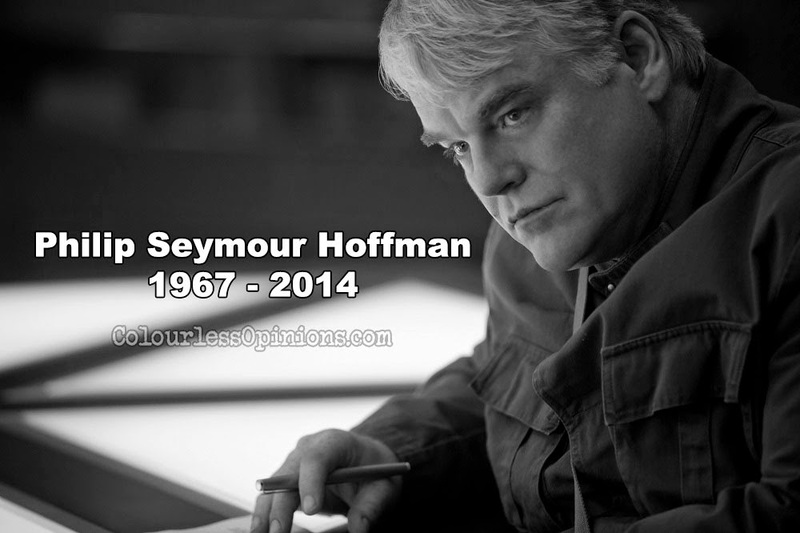 Both Part 1 and 2 feature the late Philip Seymour Hoffman’s final appearances in featured films. The Hunger Games films don’t get to show how much more he could actually do as an actor, but it’s nice to see him playing a character (as Plutarch) that suits him. Censorship in Malaysia: Nothing seems to be cut off for the advanced screening held at TGV 1 Utama. Either there’s really no real heavy violence in this instalment, or it was brilliantly chopped. 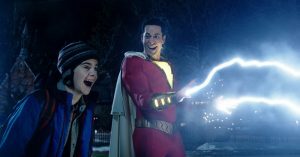 Second opinion: My girlfriend said she liked the movie very much and that it almost made her cry. Verdict: By right, this film only deserves half the score for only giving us only half of what we want to see.